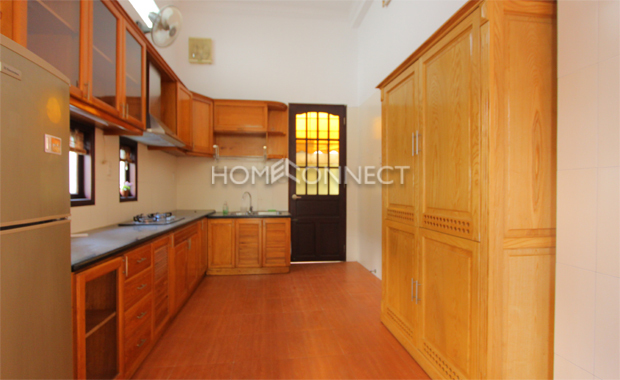 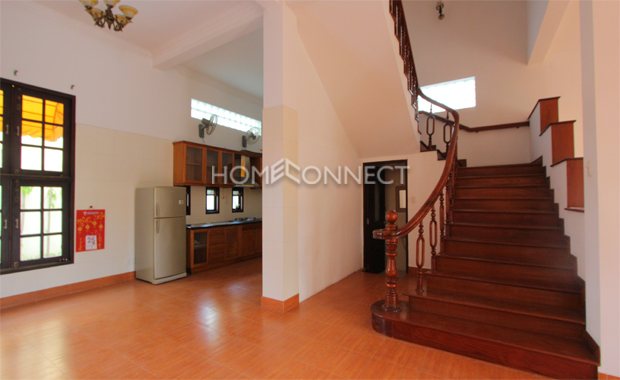 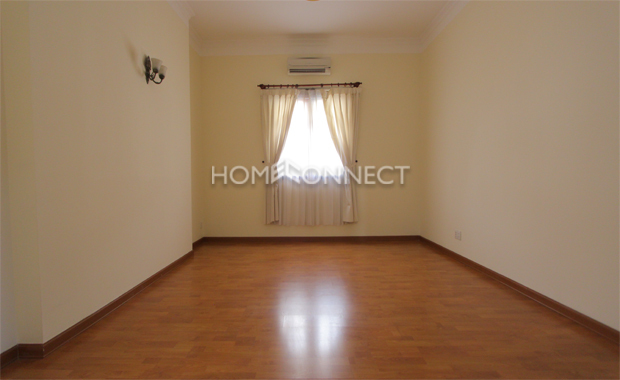 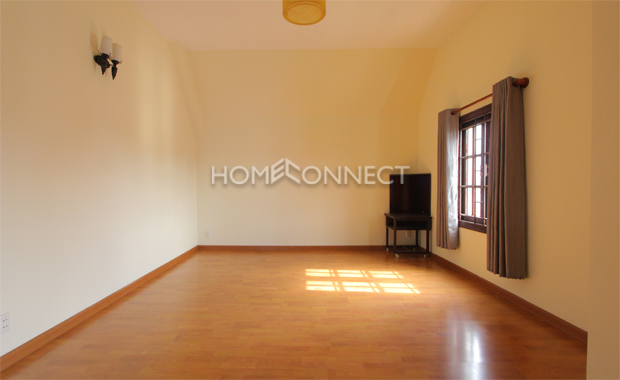 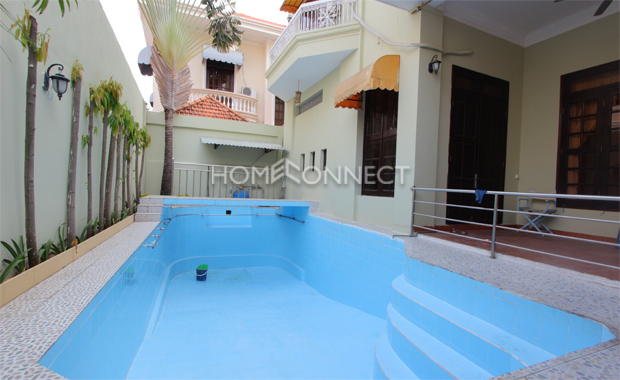 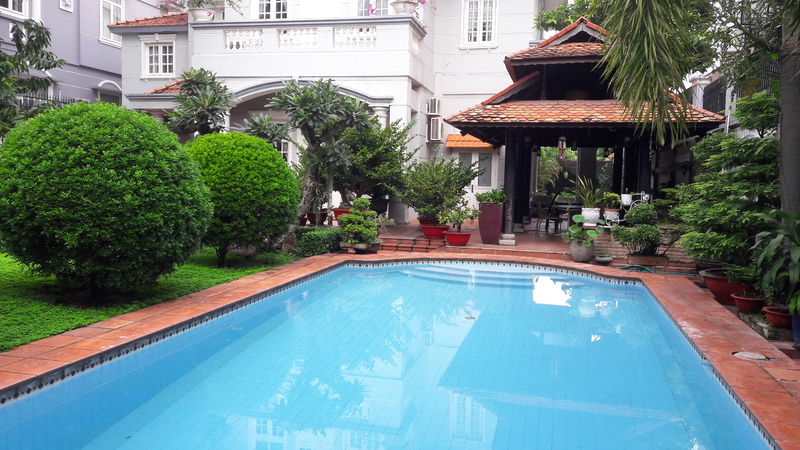 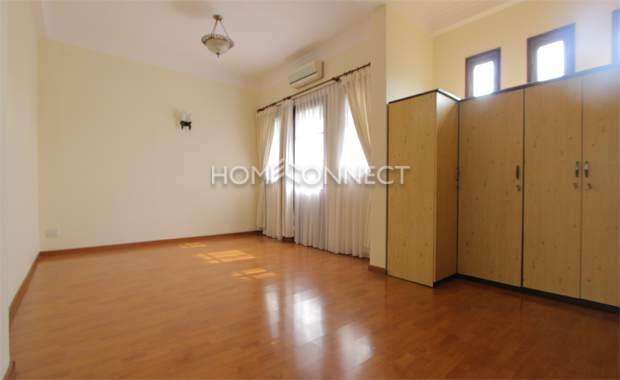 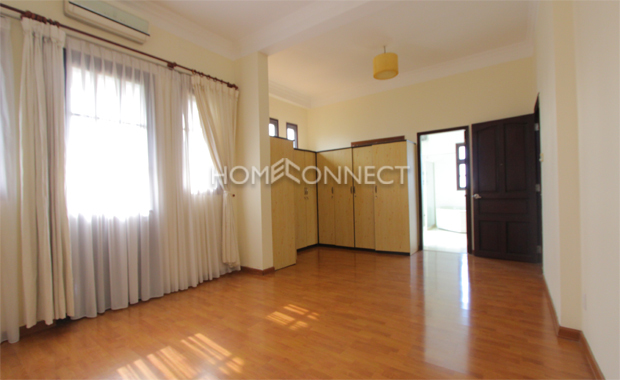 This An Phu neighborhood traditional HCMC private villa for lease is in district 2 and is 400 square meters with four bedrooms and four bathrooms. 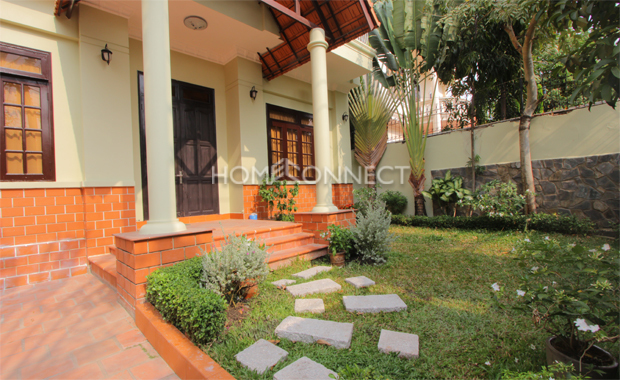 This traditional meets modern style home is three storeys high and has a porch, beautiful swimming pool, recreational area that are perfect for a family to enjoy. 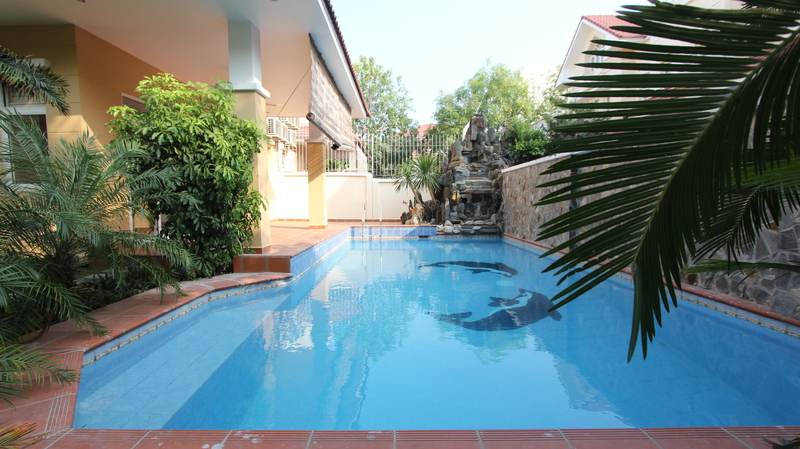 The tropical vibe in this expansive on the outside is charming as well as its traditional interior complete with quality modern fixtures, high ceilings, and detailed wall panels. 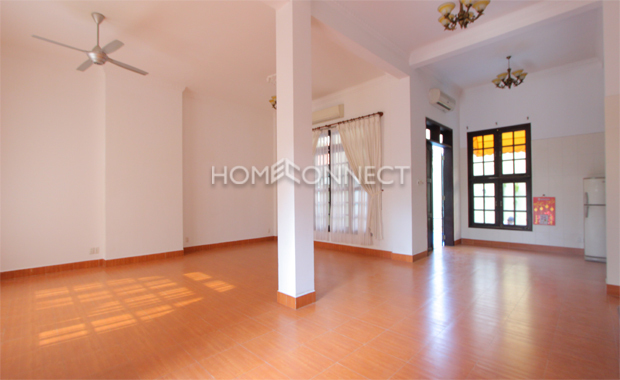 The ground floor is decked in ceramic floors and comprises of the living room, dining, and then connecting to the kitchen which is equipped with marble countertop, wooden storage space and stove. 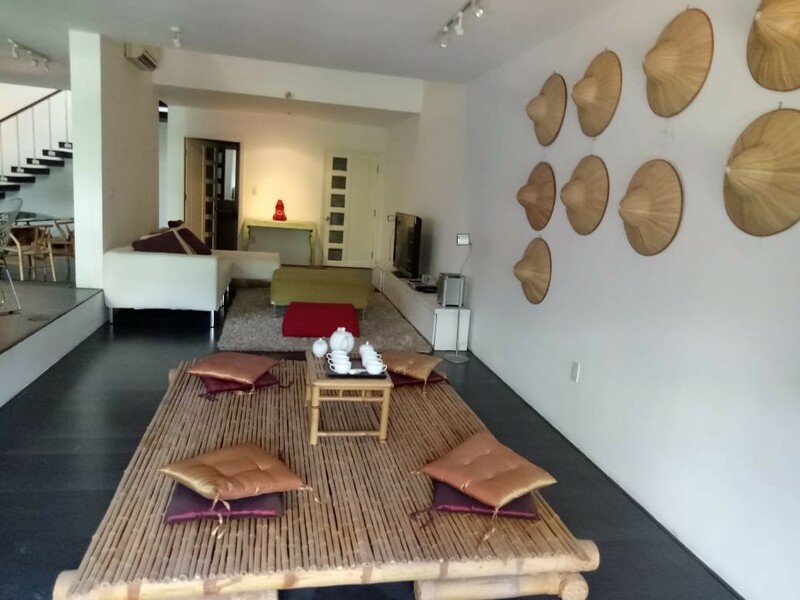 The upstairs bedrooms are overlaid in hardwood floors with built-in closets while the bathrooms feature premium tiles and bath amenities. 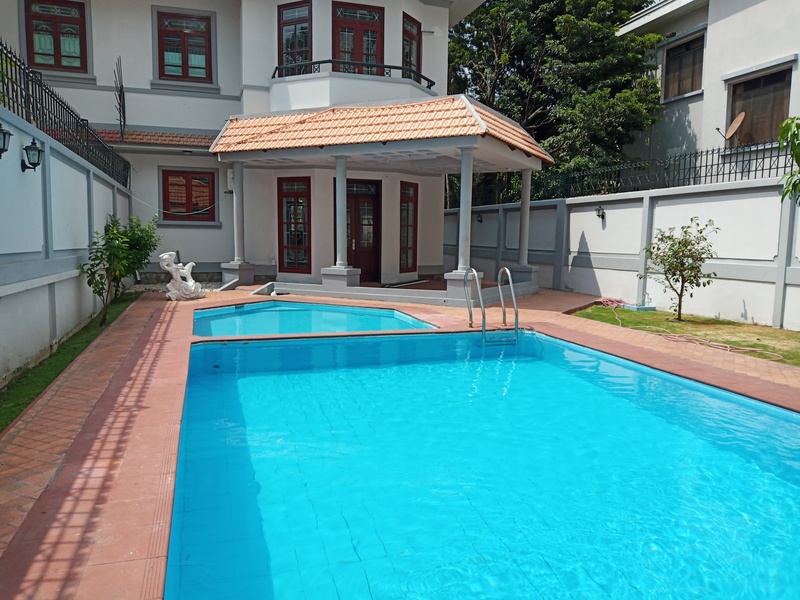 Facilities include a swimming pool with poolside relaxation space, garden, BBQ area, porch, parking area, laundry and storage area.